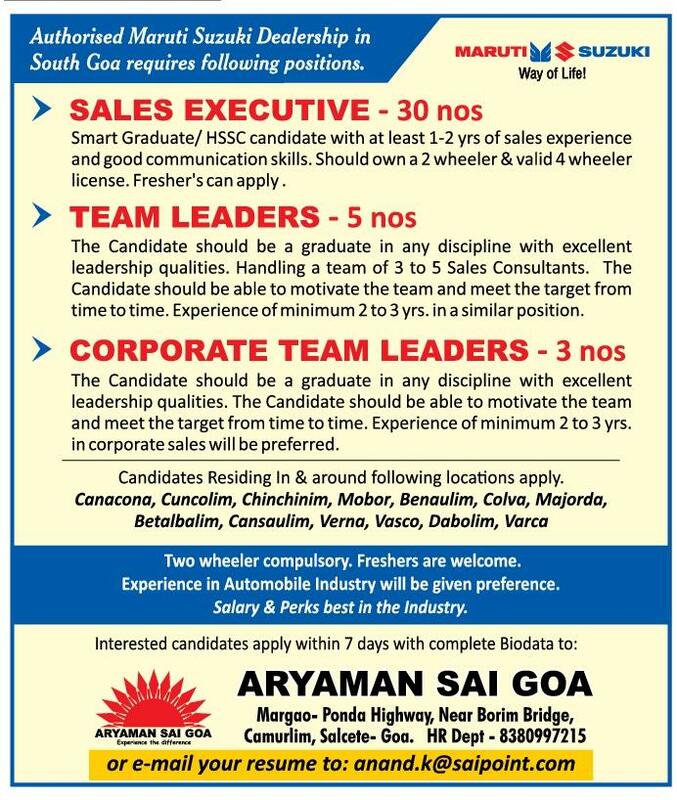 Aryaman Sai Goa, authorised dealership for Maruti Suzuki in South Goa is looking for candidates in Sales. 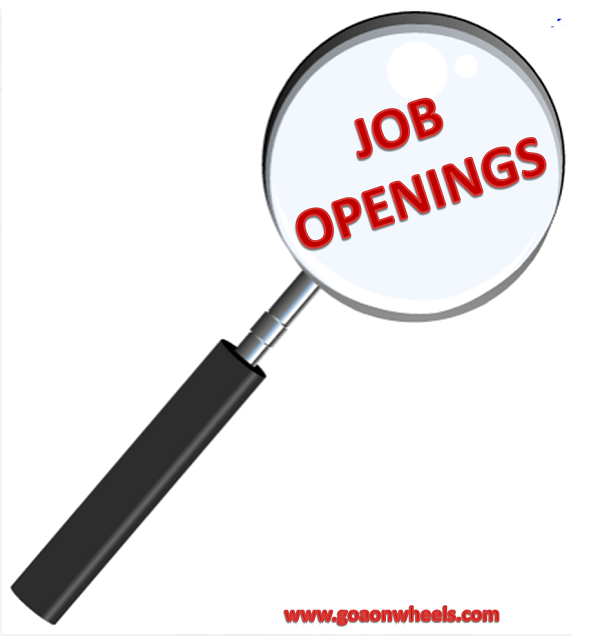 The dealership is planning to hire 30 sales executives, 5 team leaders and 3 corporate team leaders. 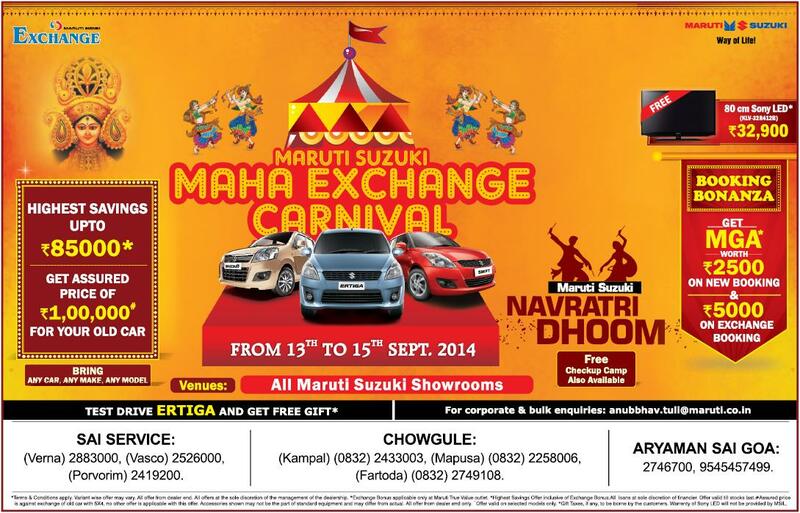 At present, Maruti Suzuki makes 16 models for the Indian market name Alto 800, Alto K10, Celerio, CelerioX, WagonR, Swift, Dzire, Gypsy, Omni, Eeco, Baleno, Ciaz, S-Cross, Vitara Brezza, Ignis and Super Carry LCV. For more details kindly look at the ad below and contact the HR department or send an email to anand.k@saipoint.com. Want to advertise autojobs on www.goaonwheels.com? send us an email at goaonwheels@gmail.com.